Walmart, after turmoil in its retail venture this year, now plans to lay off 100-150 employess from the mid-senior level. Walmart, post snapping ties with Bharti Retail, has delayed its expansion plan until 2015. According to sources the process of handing over pink slips have begun and will be done over in next couple of days. Walmart currently employees 1,100 people. The global cash and carry major, Walmart, appoints Krish Iyer as the CEO of India operations. 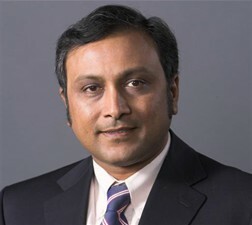 Iyer will take over Ramnik Narsey who moves to a global role of Senior Vice-President at Walmart International. Iyer has been associated with Walmart from 2012 and has been a part of Southeast Asia and Europe on management roles for Hong-Kong based retailer, A.S. Watson. He has also served as the Managing Director of Ashok Piramal Group-owned Piramyd Retail. It was only recently that Walmart broke its seven year old ties with Bharti Retail. Raj Jain who had quit Bharti-Walmart as Managing Director, has now joined back Bharti Group as advisor post the break-up. Jain had departed the venture sometime back which also raised question on the JV lasting for long. He was taken over by Ramnik Narsey. Jain started his journey with Bharti-Walmart in 2006 and was announced the head in 2007. He had played a crucial role in setting up the cash and carry business in the country. It really sounds like a sad story, an alliance that looked like a perfect match, ‘growing old’ kinds but finally, Bharti and Walmart part ways and call off their Indian JV. With the split, the US counterpart will buy in the stake of the Indian partner in the cash and carry wholesale JV, for an undisclosed amount. The two parties have come to an agreement wherein the two will pursue separate retail businesses in the country. According to the company statement, “Upon receipt of required clearances, Walmart would acquire Bharti’s stake in Bharti Walmart Pvt Ltd, a joint venture between Bharti and Walmart, giving Walmart 100 per cent ownership of the Best Price Modern Wholesale cash and carry business.” Bharti will acquire the $100 million worth Compulsory Convertible Debentures (CCDs) held by Walmart in Cedar Support Services, a company owned and controlled by Bharti. Bharti Retail plans to continue the expansion plans for their stores, easyday, which currently stand at 212 in number. The business has been going through various internal issues, given the Indian FDI policies. Moreover, the changes started show as soon as Raj Jain called it quits. Now as we think, is there a possibility of Raj Jain joining back? Walmart India which has been in news for not so good reason, has another bad news to share. Raj Jain who has been serving as the President of the Indian operations of world’s largest cash and carry retailer, calls his day.